There are many people who don’t involve their pet in the New Year’s Eve, thinking they don’t enjoy just as we do. But that’s not true, Here you can take a look at these simple and attracting ways to celebrate New Year’s Eve with pets, to ensure that they have a fun time as well. So get started and spend lots of good time with your furry pal. You can prepare some pet-friendly food for your furry pal. You can add turkey, chicken, cheese, yogurt to your pet’s menu as they love it and will also love you for it. If your furry companion is friendly with other dogs or cats, invite some pets along with their owners. So that your canine or feline and you get the company to enjoy the new year celebration. There are plenty of recipes online for homemade treats for dogs and cats. Why not bake up a batch for them to enjoy? They are sure to enjoy them and you will have fun baking them too. While you enjoy with your friends and family, let your pet enjoy with some new toys. You can bring pull toys, chew toys etc. Groom and dress your pet on New Year’s Eve for fun. You can make them wear a frock, bow tie, or any other things you think your furry pal will enjoy wearing it. Most important thing, don’t forget to protect your pet from predators. There will be many other pets coming in your New Year Eve, any of the four-legged animal may be infected by pest and pass on to your pet. So its better that you give preventatives to your furry pal. To add some more sparkle to your new year eve, BestVetCare has come up with a great deal on all the branded and exclusive pet care supplies. You can purchase any branded product such as Flea and Tick Preventative, Wormers, heartwormers, Eye and Ear Care, Joint Care, Wound Care, Oral Health Care, Supplements and many more. 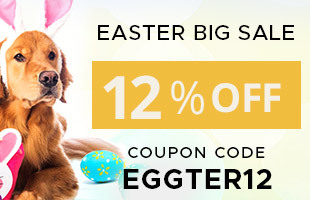 BestVetCare is offering 12% of discount on all dogs, cats and birds supplies. Hurry up! Use this Coupon Code : HNY12BST on your each purchase and steal the sale. Bella Bru Cafe is a very special place for furry pals. It is situated in three different places : Carmichael, Natomas and El Dorado Hills. The one located at Carmichael has an adjoining lounge, serving specialty drinks and select menu till midnight on each and every night. You can bring your furry pal along the outdoor patio at each of these three locations and have a great atmosphere enriched with wonderful food. Each and every Cafe provides exclusive menus, but the still remains exclusive – a European style cafe that provides pizzas, steaks, pastas, omelets, paninis, salads etc. Cafe Bernardo has four different locations in Sacramento. The best thing is that your pooch can have a wonderful time experiencing an enriching atmosphere on the outdoor patio. They also offer fresh bowl of water!!! Capitol Garage is a place to enjoy the outdoor patio, along with gourmet of food. It is an ideal place for breakfast, lunch and dinner along with dessert. In short, this place will treat your doggy with royalty!!! On Saturdays, take your furry pal on walks at Curtis park or William Land Park and then make Crepeville as your final destination. This is one of the most wonderful destinations to have breakfast with your tyke and enjoy a variety of things, including eggs, sandwiches, bagels, speciality crepes or other tantalising breakfast or lunch alternatives. Take your doggy along with you and enjoy the outdoor seating on a sunny Sacramento morning!!! Sip a cocktail in the stylish bar and enjoy the open-air patio where your doggy can join you. It is one of the best pet-friendly restaurants in Sacramento that serves fresh-cut, local ingredients along with seasonal menus. 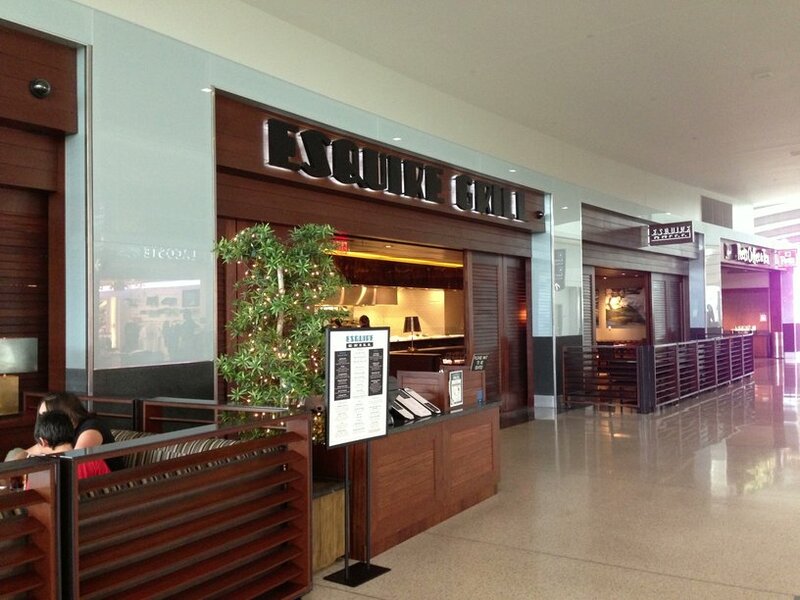 You can even get fresh fish, entree salads, sandwiches, steaks, or chops on their fresh and ever-changing menus. This restaurant consists of a patio, water bowl and treats that will make an ideal outing for your doggy. He will surely have a great lounging experience at this restaurant and so will you. Their menu includes locally green, organic, handmade and all-natural products irrespective of whether you are visiting them for brunch, lunch, dinner or dessert. Your pup will have a gala time during their daily happy hour between 3 to 6 pm where they sell different types of low-budget small plates and drink deals. While taking your furry pal to these pet-friendly restaurants is an ideal way to celebrate the Boxing Day, just ensure that your pet is happy and healthy. One way to ensure that is by providing essential pet care supplies to them on a regular basis. Since Christmas has just passed, you might be looking for cost-effective alternatives to get these pet products. If that is the case, then BestVetCare has a solution for you. On the special occasion of Boxing Day the company is providing 12% discount on the site-wide pet care supplies. The company has earned its reputation of being one of the most economical online stores in our country. It sells qualitative, branded pet health supplies products at a price that will not hurt your pockets. So, on top of the already economical prices you are getting an additional discount. To avail the discount, do not forget to use the Coupon Code : BEST12CS. The company sells pet products for dogs, cats and birds in the categories including: Flea and Tick, Joint Care, Heartwormers, Wormers, Wound Care, etc. This is your chance to hoard those branded pet health products that you were not able to get because of expensive prices. The other advantage of purchasing from this online store is that they do not charge any shipping charges irrespective of the size of the order. This is your chance to show that you care for your furry pal. Make this Boxing Day special for your furry pals by getting these pet care supplies today!!! Christmas is a very special time of the year when we all love to receive gifts and give them too. It is not just the friends and family that receive gifts from us but even our pets. These furry companions wake you up every morning and greets you every night when you walk in the door after a long day at work. This makes your furry pal worthy of a special treat. It is extremely dangerous to feed your pet from the Christmas dinner table. These food items can easily make the furry pal choke. Also, remember that the chocolate that you consume is dangerous for your furry pal. Hence, in order to make this Christmas a fun-loving affair, it is important to feed them pet friendly chews and chocolates. There are different ones that even come in the form of reindeer and snowmen. There are various pet friendly outfits that not only keep your furry pal warm in the cold weather, but also enjoy a long walk in the countryside. This is your best chance to stop your furry pal from feeling the chill. Pets love to play. Hence, getting a new ball or chew toy will make him extremely happy. You will also spend quality time with him and give him adequate attention. If you have a playful kitty, select toys with interesting extras like a bell, squeak or catnip center to divert her attention. Or play with your furry pal in an activity center and give hours of amusement to your furry pal. During the cold winter night of Christmas your furry pal will appreciate a snugly blanket or well-lined basket to squat down the night. If you have a doggy that spends most of the time outdoors, then getting a cozy kennel with a decent covering can protect him from the chilly outdoor weather. You can get get heated blankets and pads to make him enjoy the chilly night of Christmas. Getting personalized pet collar and food bowl makes the pet feel importance in the household. Also keep a stock of the necessary pet supplies like Fleas and Ticks, Wormers, Heartwormers, Joint Care, etc. This is one of the ways to shower your love towards your furry companion. While pondering on getting either of these gifts do not forget to check the stock of essential pet care supplies for your pet. During the festivity we know that it won’t be possible to visit the veterinarian hence, BestVetCare is offering online pet care supplies at an amazing 15% Discount that will make this Christmas special not only for you but also for your furry companions. To avail the discounts, do not forget to insert this Coupon Code : BEST15CD. The company has earned its reputation in the market of being one of the cost-effective online pet stores in our country. With already low prices on the branded qualitative pet products, you can now avail a further discount of 15 %. This is your chance to save big and get exclusive range of pet products for dogs, cats and birds in the following categories: Flea & Tick, Wormers, Wound Care, Joint Care, etc. So, make this Christmas a very special occasion for your furry pal by getting your favorite pet care supplies. Enjoy!!! Lots of research has been conducted by animal behavior analysts to study the behavior of dogs. But the one burning question that has always made the study even more intriguing is the question: Whether a dog’s behavior can be learned or is it mostly due to the genetic traits? According to a reputed professional animal behavior analyst of our country, it is a combination of both nature and nurture when it comes to developing the canine behavior. There are times when you come across certain dogs that are more challenging with problem behaviors. But the important thing to note is not everything that happens with the pooch can be attributed to his behavior or temperament. It is more to do with how he has been raised. Sometimes it is more about the nature of character that he has developed during birth. The same thing happens with us, humans. There are different personality types when it comes to individual. In the same way, dogs have their unique attributes of personality. By definition, genes are the basic DNA building blocks of any dog. They are primarily the reasons due to which dogs do things physically, mentally, behaviorally or temperamentally. Dog’s genes play a very important role in determining his future behavior. This is often ignored by dog owners. It has been scientifically proven that genes rather than the nurturing environment has a bigger role in influencing a dog’s temperament and behavior. With times, dogs have changed their attributes. They have become less assertive, less intimidated and dreaded and more amenable and responsive. But this same change has been impossible to achieve when it comes to their external influences like raising them with humans from birth. The biggest problems with so many dog breeds around is that although their inherited character type has remained unchanged for generations, the expectations of the people of the dogs as pets has changed considerably. This is particularly the case when we talk about dog breeds that were originally bred as guarding breeds which were bred to be more combative and disgusting. Or hunting dogs that were bred to be exceptionally strong chasing, hunting or tracking instincts. Due to this mental/behavioral incompatibility there has been frustration and conflict on both the sides. Now dogs cannot change their innate genetic mindset to become more amicable, or obedient as per the desire of their owners. The other side is that they are unable to curb their predatory compulsions with which they were born on the owner’s commands. Mental incompatibility is also one of the things that results in poor quality of a dog’s life. They are not able to freely free, sniff and explore or socialize with other people and dogs. This is due to the fact that they are deemed to be more anti-social and aggressive. It is the genes that depict a different story altogether. Dogs with greater genetic disadvantages personality wise cannot be made to improve their behavior and quality of life irrespective of better training and greater insight into their mental limitations. The best thing to do in the future is to ensure that while breeding dogs their genetic minds and temperament are more congenial with the demands of the pet’s life. Remember, dogs that are not bred with these things in mind end up paying the highest price. How The Dog’s Behavior Gets Acquired? A dog’s behavior gets acquired with the help of a genetic pre-disposition and genetic memory. There are certain kinds of behavior or attitudes in life that are inherited by birth like a pre-programmed default factory settings that you find in a computer of TV. This includes the dog’s current temperament and personality. The way he reacts while dealing with different situations or events. While genetic memory is an altogether a different thing. It is that activity that the doggy repeats subconsciously which gets stored in his genes and cells. This is passed from one generation to the next. A perfect example of this is the migration of birds in a particular season and building nests. This is part of the effects of inherited genetic pre-disposition and memory. The same thing happens with different dog breeds. Each and every dog is born with a particular inherited compulsion that makes him behave in a specific manner. A lot of things can be resolved if the dog owners think about the genetic nature of their doggy before they get him as a companion. For example; if you are looking for a doggy that is highly sociable and trainable then do not get a dog breed that is less sociable. Look at the pros and cons of each dog breed and then opt for the one that meets your requirements. There is a tendency amongst dog owners to perceive that all puppies are clean slates that can be molded into a desired future behavior. But it is important for them to understand that the nature of genes plays a bigger role in inheriting the doggy’s behavior at birth. Hence, it is extremely critical to verify particular behaviors of aggression, nervousness, fearfulness or neurosis amongst parent dogs or families of dogs. This will make you aware of the behavior that the puppy is most probably going to follow. This particular thing is not researched properly by dog owners when they get a puppy and then in future they regret the decision. This makes the life of the pet, even more difficult. Misconception No. 1: Indoor cats cannot acquire heartworm disease. Reality: It has been studied and found that in our country alone there are 27% of indoor cats that are infected with heartworm disease. It is possible for mosquitoes to enter the house through screen doors and open windows. Misconception No. 2: Cats that are infected with heartworms do not display any clinical signs. Reality: It has been studied and found that two-thirds of the heartworm-infected cats show signs like: wheezing, coughing, difficult or rapid breathing, weight loss and vomiting. Misconception No. 3: Due to heartworm disease, cats suffer from cardiac disease. Reality: Heartworm disease in cats affects the lungs not the heart. It is the heartworm-associated respiratory disease that is the main cause of heartworm disease in felines. Misconception No. 4: The treatment of heartworm disease is the same for dogs and cats. Reality: The treatment of heartworm disease in dogs differs from that of cats. Adulticidal treatment with melarsomine in felines is not recommended as it can result in swift worm death and consequently cause the death of the cat. Instead, to treat heartworm disease in felines corticosteroids is utilized that decreases the inflammatory response to the heartworms in the lungs, bronchi, and pulmonary arterioles. Misconception No. 5: Never take the aid of an echo cardiogram test since heartworm disease rarely causes cardiac disease in cats. Reality: Echo cardiogram is a complimentary test that aids in identifying adult worms in the proximal pulmonary artery and main pulmonary artery branches that might be observed in 40% of the infected cats. There is also a need to diagnose caval syndrome, which is a uncommon but life-threatening condition requiring immediate extraction of worms from the tricuspid valve. Misconception No. 6: Heartworm preventatives are only effective against early larval infections. Reality: Different heartworm preventatives have different efficacy. But if a preventive is delayed for a particular period of time, it may still be able to kill the larvae that has matured. But the only condition is that the subsequent doses need to be given consequently on a monthly basis. Remember, the best thing to combat heartworm disease is by giving regular heartworm preventatives to the feline. Heartworm disease is a serious disease that results in severe lung disease, heart failure, other organ damage, and death of your loving dogs, cats, and ferrets (pets). It is a potentially fatal, but preventable. So, be ready to treat your loving pet with heartworm preventative treatments at the earliest with the help of your vet. This way you can rest assured that your feline is protected from this life-threatening disease. So, how are you planning to combat this grave disease from your kitty?